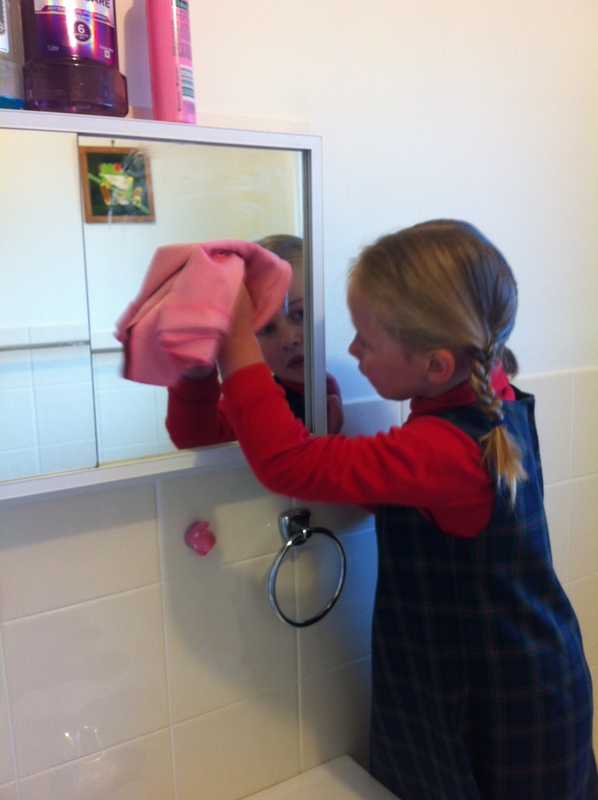 Kids… if you “paint” the mirror with toothpaste- you can clean it!! I like to call them “the besties” – the work SO WELL TOGETHER! !